Come over for the weekend to Zlatni lug where within the resort you can find the Fisherman’s house, a traditionally built house constructed using old beams, that will win you over you at first glance with its charm and spectacular view on the fish ponds of Zlatni lug. It has a seating capacity of 60 and with proir agreement we can provide service for your guests. Thirty arbors, whose rent price also includes the service of all-day barbecuing, are placed in a big open space with a view of almost the entire estate. Aproximately thirty arbors that overlook the whole estate are situated in a big open space. And the rent price also includes the all day barbecue service. Each arbor is covered and equipped with a stone barbecue and firewood, essential for a fun times all day long. 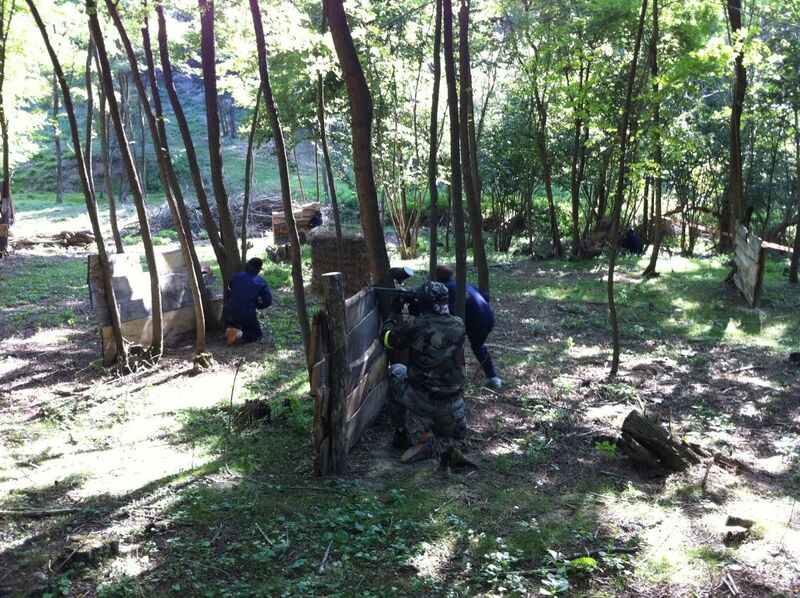 Archery as a sport has always required a mixture of both psychological and physical human abilities. It clears your mind and at the same time recreates your body, and it’s a great way to stay active. 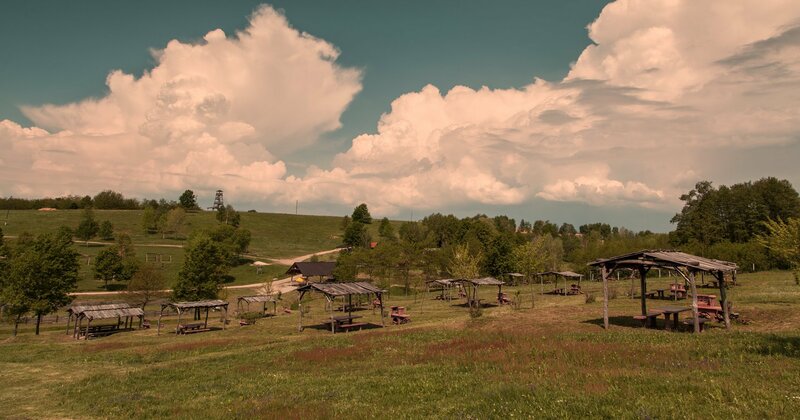 Zlatni lug offers you everyday recreation by playing this sport, using a high quality equipment on a terrain which allows more archers to use it at the same time. The desired date of use the has to be announced in advance. Playground Zlatni lug will entertain your kids with numerous swings, seesaws, slides, aerial runway, big sandbox and climbers. During that time, you can make yourself comfortable in the shade of a birch-tree safely secluded from the tight traffic and simply enjoy the fresh air. Your child will have the oppurtunity to get to know the village, the domestic animals, to feed a calf or a lamb, to stroke a ponny or to run after the geese while learning at the same time through play. The playground is open every day and our younger visitors are free to use it. You will have the best conditions to spend the perfect fishing day with our two arranged fish ponds. Both of the ponds are refilled every month with big amounts of fully grown carp and if necessary even more often, so we’re confident that your fishing will be successful. One of the ponds has even a special challenge. A red japanese carp is swimming there. The visitor who manages to catch it, as an award, is freed of paying the daily fishing ticket. 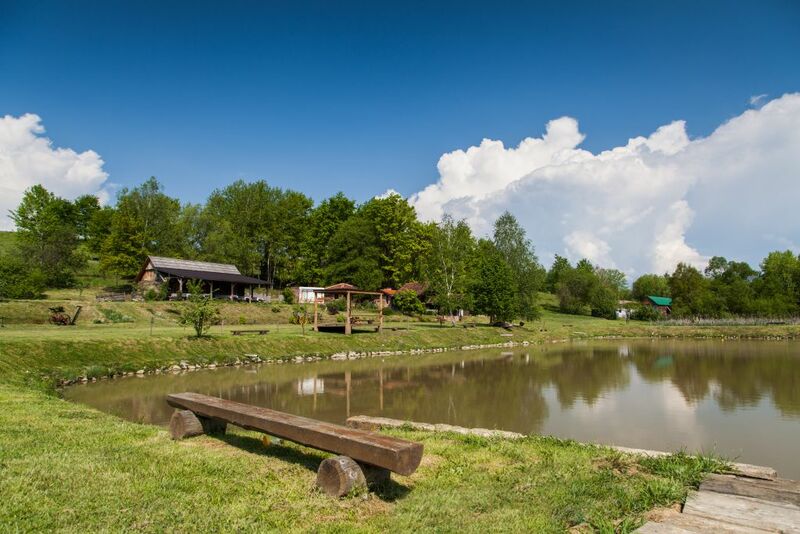 The ponds will provide you with everything you need – from benches to food and refreshement served from the nearby restaurant Zlatni lug. With total lenght of 4 km, the walking trail of the village property Zlatni lug can also serve its purpose as a challallenging cycling trail. 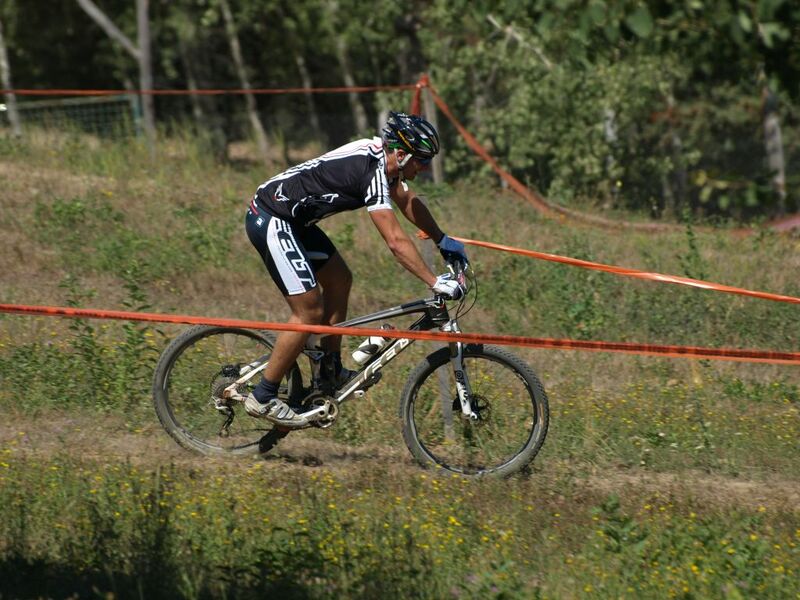 Cross country bike trail of 120m can be used as an excellent testing site to all the athletes. 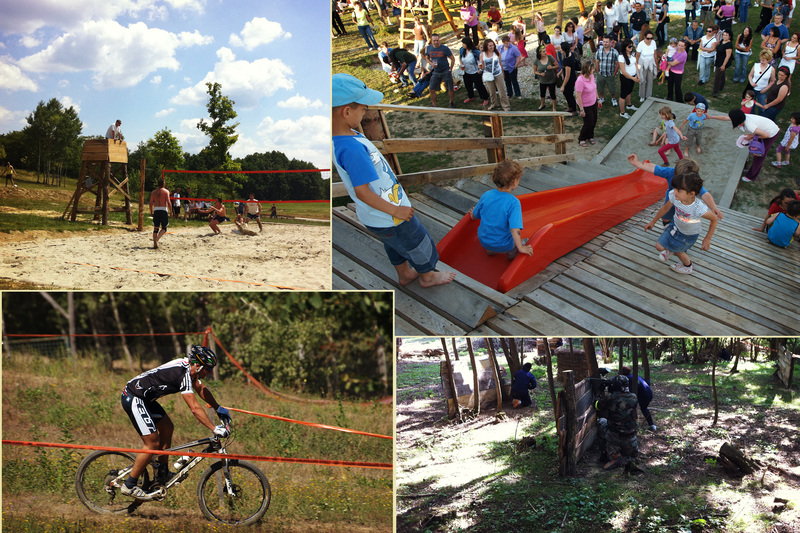 This trail is also hosting a MTB Požega XC Zlatni lug race which is being held and regulated following the rules of the Slavonian MTB league. The trail is open for use to all visitors, free of charge, every day! The grassy terrain is gated and equiped with nets, resting benches and it’s perfect for a fun afternoon with your friends or business partners. It can also make your time go faster while waiting on your slavonian gastronomic specialties. Except for your every day personal use of the football court, there’s also a possibility of renting it for organizing tournaments if wanted, in addition we can also offer you our catering service. 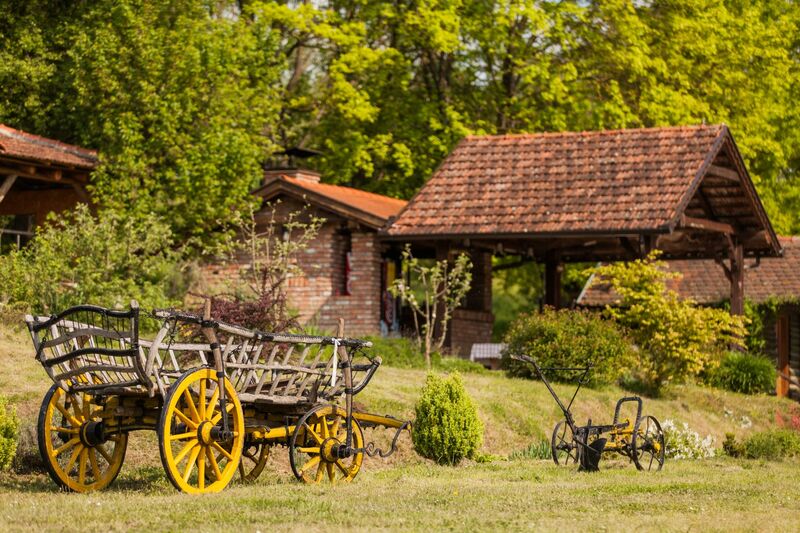 The estate Zlatni lug is inviting you to nourish your soul engaging in a pleasant walking tour of the tamed nature which allows you to meet all sorts of plant and animal life of our surrounding. Unique animal breeds, getting to know some not so well known animals, spring flowers and perennials are among many reasons to take this route several times. The walking trail is open every day, free of any charge and ideal choice of an afterlunch recreation. It’s adapted to all visitors, and for those in good shape we recommend the longer trail which takes more than two hours to pass it. Thanks to our carefully constructed trails, whichever way you chose to take, you will be able to see the most important part of the estate. If you want to get to know better one of the nearby destinations, we can organize for you the services of the professional tour guid. There’s a possibility of engaging a professional mountain guide, if wanted. For us to be able to provide you with the top notch service for all activities, it’s necessary to announce yourself in advance. After sending us your inquiry, wait for our response with confirmation of the reservation. Without the confirmation, the date is not considered booked.